E-scooters are popular in many major cities across the U.S. Offering a cheap, easy, eco-friendly way to get around, e-scooters also pose some serious risks to riders. In fact, reports of e-scooter accidents and injuries have been mounting across the nation. While e-scooter companies make riders sign user agreements stipulating that riders are solely responsible for any accidents, this does NOT necessarily mean that these companies can shirk liability for the harm caused by their scooters. If you or a loved one has been hurt in any type of e-scooter accident, here are some important answers to commonly asked questions about e-scooter lawsuits. Whenever you’re ready for answers and advice specific to your situation, contact the Amaro Law Firm. Have You or a Loved One Been Hurt in an E-Scooter Accident or Any Type of Crash? Who Can File an E-Scooter Lawsuit? Another motorist’s negligence – If a distracted, drunk, or otherwise reckless driver hits an e-scooter rider, that driver will be liable for the crash. When crashes involve Uber drivers or multiple parties, the resulting cases can be more complicated. Malfunctioning e-scooter parts – Brake failures, battery fires, sticky accelerators, and throttle problems are just some of the equipment failures that have plagued e-scooters. When any faulty part contributes to an e-scooter accident, the rental company – and possibly others, like the part manufacturer and the service contractor – can be liable. An e-scooter rider – In some cases, riders themselves may cause the accidents that injure others, like pedestrians. When this occurs, pedestrians can have a case against the negligent rider. In the aftermath of an e-scooter accident, it can be difficult to know who’s at fault and whether multiple parties may be liable. Generally, making these determinations requires additional investigations. This is where the help of an experienced e-scooter accident lawyer at the Amaro Law Firm can be invaluable. Our assistance and representation can also be pivotal to setting an e-scooter accident lawsuit up for success. What Type of Evidence Is Helpful to E-Scooter Cases? Medical records and doctors’ reports. How Soon Does an E-Scooter Claim Have to Be Filed? In Texas, you have two years from the date of the accident – or the date on which the injuries from the accident were discovered – to file a case. Once that time frame passes, the claim will usually become invalid. In most cases, it’s best to file an e-scooter lawsuit as soon as possible, rather than waiting months or longer to proceed. Over time, evidence can get lost, damaged, or become unavailable, which can reduce the strength and value of a case. What Type of Compensation Is Available for E-Scooter Accident Lawsuits? 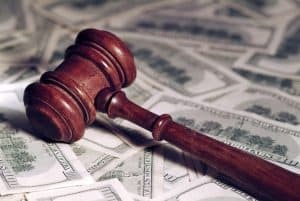 Depending on the circumstances, punitive damages may also be available. How Can I Get My E-Scooter Lawsuit Started? Work relentlessly to bring your case to a successful resolution. Set your case up for the maximum recovery. While we are fully aware that compensation can never erase the damage from e-scooter accidents, we also know how recoveries from these cases can help survivors rebuild their lives. The Amaro Law Firm’s record of outstanding representation and success (in accident and product liability claims) is affirmed by our 5-star ratings on Google and Facebook, glowing testimonials from former clients, and a 10 rating on Avvo.